Worldwide, the prevalence of disability tends to be higher within indigenous communities than among non-indigenous groups.1 This high prevalence of disability is both a cause and a consequence of severe poverty, violence and unsafe living conditions, including exposure to environmental degradation, toxic waste and the adverse impacts of development project.2 Indigenous persons with disabilities are more likely to live in poverty and to face barriers to meeting basic needs, such as food, water, shelter, education and health services. During the last decade, much progress was made with regards to recognizing indigenous persons with disabilities’ right to an adequate standard of living and social protection. Milestones of this progress include the 2007 United Nations Declaration on the Rights of Indigenous Peoples3 which states that indigenous peoples have the right, without discrimination, to the improvement of their economic and social conditions, calling for particular attention to the rights of indigenous persons with disabilities. Moreover, the Convention on the Rights of Persons with Disabilities4 also addresses the intersection of indigeneity and disability. Its preamble acknowledges indigenous peoples as vulnerable groups, prone to multiple or aggravated forms of discrimination. More recently, the General Assembly of the United Nations adopted the outcome document of the World Conference on Indigenous Peoples (2014), in which it reiterates its commitment to improving the social and economic conditions of indigenous persons with disabilities. Nevertheless, progress made in recognizing the rights of indigenous persons with disabilities in international legal standards has not yet translated to concrete improvements in their living conditions and well-being. Indigenous peoples have been severely affected by lack of access to traditional lands and land-grabbing, which disrupts access to dignifying livelihoods, and prevents them from exercising their social and cultural rights.5 Additionally, indigenous peoples have been particularly disadvantaged in terms of access to education, health, housing and social services.6 Barriers to these basic needs have produced significant differences in income, leading to poverty and cycles of marginalization. Social and political marginalization has been reinforced by the lack of comprehensive data about indigenous persons with disabilities. In order to foster community well-being and dignifying livelihoods, indigenous peoples with disabilities must be identified and located. Statistics on both indigenous peoples in general and rates of disability tend to be limited and inadequately captured. This lack of reliable data is linked to some states’ reluctance to recognize their indigenous peoples, resource constraints for the development and application of a more comprehensive set of measurement instruments and a lack of engagement with indigenous perspectives on disability. Gathering information on indigenous persons with disabilities has many social and political implications in improving social accountability and the monitoring of human rights. Thus, it is crucial to address information system gaps. The CRPD is the first binding human rights instrument of the United Nations to explicitly address disability and acknowledge indigenous peoples as being prone to multiple forms of discrimination. It has been ratified to date by 152 states. Its 50 articles provide legal protection for persons with disabilities. The Convention also establishes accountability systems to monitor the signatory countries’ actions in fulfilling its mandate. Its articles include abolishing laws that constitute discrimination (Article 4), the right to control one’s financial affairs and equal access to bank loans and credit (Article 12), and the right to education which includes access to the social and pedagogical support needed for pupils (Article 24). It also protects the right to health (Article 25) and rehabilitation (Article 26). First and foremost it recognizes the right of persons with disabilities to an adequate standard of living and social protection (Article 28). The Committee on the Rights of Persons with Disabilities, a body of independent experts which monitors the implementation of the CRPD, has set a number of standards to be addressed under a human rights-based approach to social protection of persons with disability. The Committee has recommended that member States improve their data collection in order monitor the standard of living of persons with disabilities within their territories, and to address the needs of those at risk of poverty and social deprivation. Its recommendations have also called on member State to improve the provision of social protection to indigenous persons with disabilities, particularly women given their lack of access to social services and high levels of social deprivation experienced. For the progressive realization of Article 28 of the CRPD, an “adequate standard of living and social protection”, an pathway that highlights and safeguards the rights of indigenous persons with disabilities needs to be built into its mandate. Such rights include access education that includes indigenous languages, gender equity, accessible accommodation and social services, access to rehabilitation and assistive devices that enable them to participate in community life and the workforce, and protection to exercise their traditional livelihoods and land rights. Self-determination should be understood as a prerequisite for the realization of all indigenous peoples’ rights, including the right to social security. Fundamental to the rights of indigenous people with disabilities are the principles of equal recognition before the law, participation and consultation, and accessibility. Policy responses need to address rights infringements experienced by indigenous people with disabilities, which include historical marginalization. An analysis of the conception of equity and equal opportunities, as equity cannot occur on unequal grounds. Although in many countries non-discrimination and equal opportunities law related to social security is in place, those instruments tend not to refer explicitly to indigenous people with disabilities. Thus, further efforts must be put into developing policy and culturally appropriate assessment mechanisms, and building tools to overcome the uneven power relations that have historically excluded indigenous persons with disabilities from the provision of social protection. Connell, R., Southern Bodies and Disability: re-thinking concepts. Third World Quarterly, 2011. 32(8): p. 1369-1381. Carson, B., et al., Social determinants of Indigenous health. Canberra, ed. National Library of Australia. 2007: Allen & Unwin Academic. Aboriginal Affairs and Northern Development Canada, Aboriginal Income Disparity in Canada. Canada 2013. Ottawa. Biddle, N., C. Brennan, and M. Yap, Closing the gap. Canberra, 2014. Comisión Económica para América Latina, Los Pueblos Indígenas en América Latina: Avances en el último decenio y retos pendientes para la garantía de sus derechos. 2014. Santiago. Franco, J.C., Global land grabbing and trajectories of agrarian change: A preliminary analysis. Journal of Agrarian Change, 2012. 12(1): p. 34-59. Ubink, J.M., A.J. Hoekema, and W.J. Assies, Legalising Land Rights: local practices, state responses and tenure security in Africa, Asia and Latin America. 2010: Amsterdam University Press. Watson, N.L., Implications of land rights reform for Indigenous health. Medical Journal of Australia, 2007. 186(10): p. 534. Permanent Forum on Indigenous Issues, Study on the situation of indigenous persons with disabilities, with a particular focus on challenges faced with regard to the full enjoyment of human rights and inclusion in development E/C.19/2013/6, 2013. Grech, S., Disability, Poverty and Development: Critical reflections on the majority world debate. Disability & Society, 2009. 24(6): p. 771-784. Hall, G.H. and H.A. Patrinos, Indigenous peoples, poverty, and development. 2012: Cambridge University Press. Trickle Up, DISABILITY, POVERTY & LIVELIHOODS GUIDANCE FROM TRICKLE UP. the United States Agency for International Development (USAID) 2013: Washington. Rivas Velarde, M., The Convention on the Rights of Persons with Disabilities and its implications for the health and well-being of indigenous peoples with disabilities., in Sydney Medical School. 2014, Sydney Medical School: Sydney Australia. p. 270. At the time of submission, Minerva Rivas Velarde was a consultant at the Office of the High Commissioner for Human Rights. She holds a PhD from Sydney Medical School, The University of Sydney. She also has an MA in applied social research from Trinity College Dublin and a BA in communications science from De la Salle University in Mexico. Her writing focuses on human rights, disability policy and indigenous peoples’ issues. 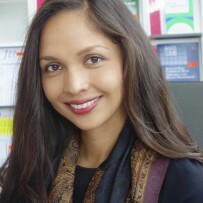 She has worked in human rights and disability research in the Pacific, Latin America and Western Europe; collaborating with stakeholders, national ministries and NGOs at both the domestic and international levels and collaborated with the International Labour Organization and World Health Organization. Currently she is also a visiting scholar at the Global Studies Institute at the University of Geneva. Her work has consistently focused on enhancing the voice of the Global South through emancipatory research. Australian Bureau of Statistics, 2010; Instituto Nacional de Estadística, 2012; National Congress of American Indians, 2012; Permanent Forum on Indigenous Issues, 2013a; Philippine Coalition on the UN Convention on the Rights of Persons with Disabilities and advocates, 2013; Statistics New Zealand Tatauranga Aotearoa, 2013. See Collins 2007, Carson 2007, Aboriginal Affairs and Northern Development Canada 2013, Biddle and Yap 2014, Comisión Económica para America Latina 2014. Convention on the Rights of Persons with Disabilities, opened for signature 30 March 2007 and entered into force 3 May 2008. See Franco 2012, Ubink, Hoekma and Assies 2010, Watson 2007. See Carson et al. 2007, Permanent Forum on Indigenous Issues 2013, Grech 2009, Hall and Patrinos 2012, Trickle Up 2013.